Nearly six years after former Superintendent Arlene C. Ackerman steered a $7.5 million no-bid contract to a firm not approved for emergency work, a federal jury entered a $2.3 million judgement against the Philadelphia School District. A federal jury entered a $2.3 million judgment against the Philadelphia School District and the late Superintendent Arlene C. Ackerman on Monday, finding that she discriminated against a Bucks County company by steering a $7.5 million no-bid contract to a smaller, minority-owned firm that had not sought the work. Newtown-based Security & Data Technologies Inc. (SDT) filed the racial discrimination suit after, it said, Ackerman and the School District "deselected" it in 2010 for a contract to install surveillance cameras at 19 schools that the state had deemed "persistently dangerous." The company, which had begun preliminary work, said Ackerman changed course and ordered the emergency contract be awarded to IBS Communications, which was not on a state list of companies eligible for no-bid contracts. Ackerman told several administrators at a meeting in September 2010 that she was sick of the district's giving work to contractors who she said did not look like her. 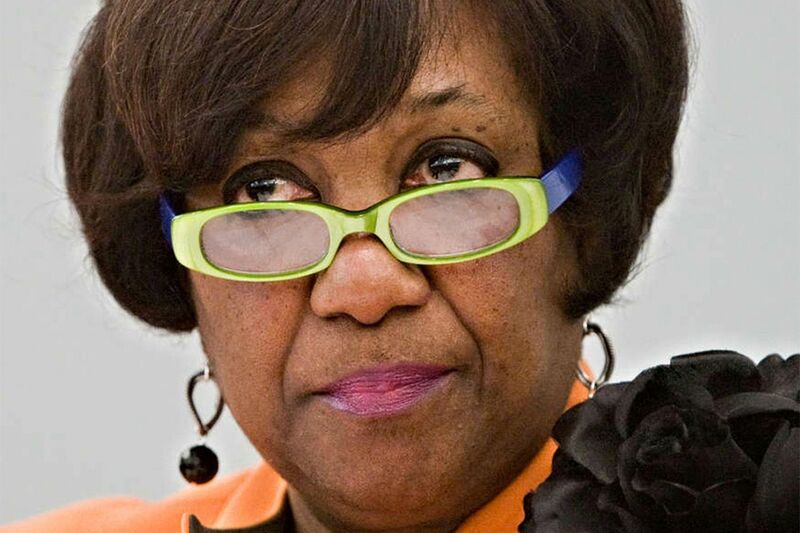 John Byars, a former top district procurement official, said Ackerman also said at the meeting that she would make sure that "all these white boys didn't get contracts." She asked why "a black firm [couldn't] get it," and directed that the job be given to IBS. The case is one of four - and the second that the School District has lost - stemming from a 2010 Inquirer report that Ackerman pushed SDT aside to give the project to IBS. "My client has been struggling with this fact of being rejected for a contract because of race for nearly six years," said attorney Michael Homans, who represented SDT with Melissa Kay Hazell. "It's been a long, hard journey. Justice was served." District spokesman Fernando Gallard said Monday night, "We are extremely disappointed with the outcome." Jesse C. Klaproth, who represented the School District and Ackerman's estate at trial, said he and his clients "plan on exploring our appellate options." The eight-member panel - consisting almost entirely of white jurors - took four hours to reach a decision following a weeklong trial. The jury found that the School Reform Commission, which was also sued by SDT, was not motivated by race when it awarded the contract to IBS. "This case arises from an episode of blatant, admitted race discrimination" by Ackerman, the SRC and the district in awarding a public contract, SDT said in court filings. SDT is owned by two white men. The company had sought $2.1 million in lost profits, and compensatory and punitive damages. At the time the contract was awarded to IBS, the district was exceeding its goal of 20 percent participation of minority firms in its contracts. But administrators said that then-SRC Chairman Robert Archie and other commission members repeatedly called for awarding more contracts to companies owned by minorities and women. SDT had said it intended to hire minority subcontractors to perform 33 percent of the work for the project it expected to perform. Attorneys who represented Ackerman and the district denied that race had been a factor in awarding the contract, saying that IBS had been selected for legitimate business reasons and that SDT had not started work on the project. In a November 2010 article, the Inquirer reported that Ackerman had pushed aside SDT to give the no-bid project to IBS. A district source told the newspaper that Ackerman ordered that the $7.5 million emergency contract be given to IBS. Unlike IBS, SDT was on the state-approved list of contractors eligible for emergency contracts. A federal jury in 2015 found that Ackerman and a former head of human relations had violated Francis X. Dougherty's right to free speech by placing him on leave in December 2010 during an investigation into leaks about the camera contract, and then recommending that the SRC fire him. In a suit, Dougherty disclosed that he was a source for the article. He contended that he was fired in retaliation for talking with reporters and contacting state and federal authorities to express concerns about the contract. In March, the SRC voted to pay Dougherty $725,000 to settle his claims. Ackerman left the district in August 2011 and died in February 2013. When the camera contract was made public, she repeatedly denied that she had directed the staff to award the work to IBS. Two other suits related to the camera contract are pending. Byars, the former procurement official who was placed on leave, then fired, has a civil-rights, slander, and defamation suit that is scheduled to go to trial in federal court in November. Byars, who is African American, alleges that he was made a scapegoat for the controversy that erupted over the contract. Augustine Pescatore, a commander in the Office of School Safety, was put on leave during the probe into leaks about the contract. When he returned to work, he was reassigned to the patrol division. In a suit pending in Common Pleas Court, Pescatore maintains that he was defamed, demoted, and made a scapegoat.